Mobile application development has introduced a new aspect to the application design and development process. Custom mobile application provides user with access to real time information anytime, anywhere and on any device. Integration of legacy or web enabled application to the wireless world has many advantages. Suretek Infosoft offers our clients with skilled, knowledgeable and experience team. Our team has vast experience in developing Mobile Application across diverse platform and devices. 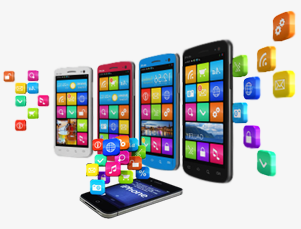 We have extensive technical expertise in custom application development of mobile solutions and latest techniques for all major platforms which includes BlackBerry, iPhone Application Development, Android Development. Multimedia and Entertainment mobile applications. Video and Audio applications for mobile devices. Integration of Legacy or Web-Enabled system to the wireless world.